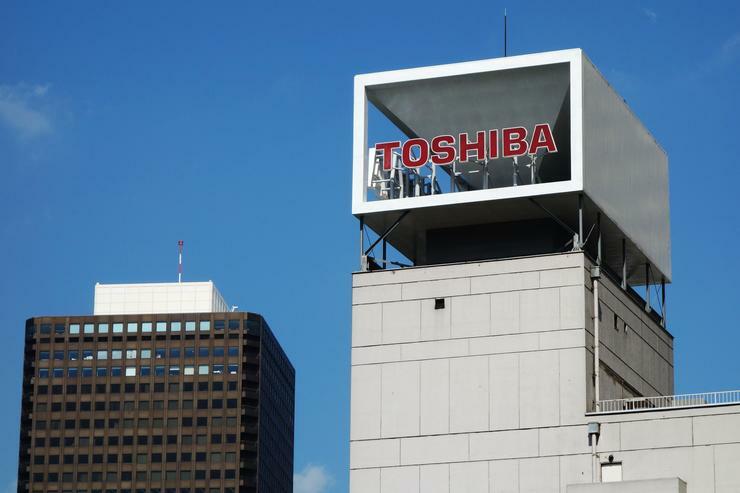 Cash-strapped Toshiba Corp may have staved off delisting after its accounting won auditor approval, albeit with a stern rebuke, but its listed status remains largely dependent on whether it can complete the stalled sale of its chip business by March. The Japanese conglomerate, as a listed entity, was required to file last year's finances by June, but delayed due to disagreements with its auditor about multi-billion dollar losses at now-bankrupt US nuclear power subsidiary Westinghouse. "It's cleared the first hurdle," said Makoto Kikuchi, chief executive at Myojo Asset Management. "The second hurdle will involve negotiating the sale of its chips unit, currently in dispute. There's still a risk it will not be able to fix its excess liabilities, and be delisted." PriceWaterhouseCoopers Aarata LLC (PwC) on Thursday gave a "qualified opinion" on Toshiba's financial results for the year ended March as well as for April-June, meaning it broadly vouched for books that contained minor problems. But in a rare move, PwC also issued a separate "adverse opinion" on corporate governance, saying Toshiba was late in booking Westinghouse losses. A sole adverse opinion could have prompted the 140-year-old firm's delisting. That would have damaged its creditworthiness just as it scrabbles for funds to pay debt and cover the impact of US$6.3 billion in liabilities linked to Westinghouse. Toshiba, which admitted in 2015 to inflating profits over seven years, has resorted to seeking cash through the sale of its cash cow flash memory business valued at US$18 billion – a business that made up 93 percent of April-June operating profit. The sale has been complicated by Western Digital Corp, a partner in Toshiba's main chip plant, taking Toshiba to court arguing any sale requires its consent. The US firm has also made an offer for the business. Toshiba's preferred bidder - a consortium of Japanese government-backed funds, US private equity firm Bain Capital LP and South Korean chip maker SK Hynix Inc, has insisted disputes are settled before completing the deal. Read more Who’s lining up to buy Toshiba’s semiconductor business? "We still believe it's possible to close by the end of March and are making our utmost efforts," chief executive officer Satoshi Tsunakawa said at an earnings briefing. "We haven't decided what to do if those efforts fail."